Surfing craigslist is often like negotiating a minefield totally naked and blindfolded. Lunacy, incompetence, ignorance and insanity eagerly await each click of the mouse like the four horsemen of the apocalypse combing the manes on their ethereal steeds. The four horsemen of craigslist made a particularly stunning appearance this week with a trifecta of V8 powered Volvos for sale across the country. 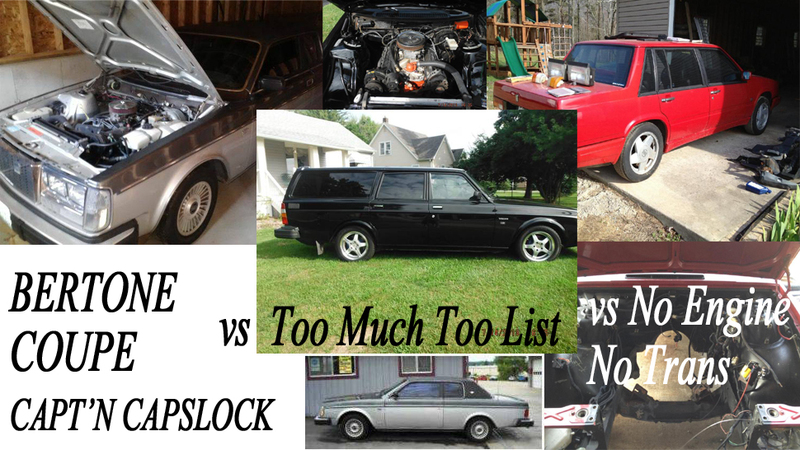 Pick your favorite as we compare a Bertone Coupe sold by CAPT'N CAPSLOCK with a 240 Wagon sold by Too Much Too List and finally a 760 Hot Rod with No Engine/No Trans. First up is a 1980 VOLVO 262 BERTONE COUPE FOR SALE IN ANDOVER, MA FOR $4900 VIA CRAIGSLIST. THE 262 BERTONE COUPE WAS A BASIC 200-SERIES VOLVO UNDERNEATH, BUT FEATURED A CHOPPED ROOF CUSTOM BODY AND INTERIOR BY BERTONE. 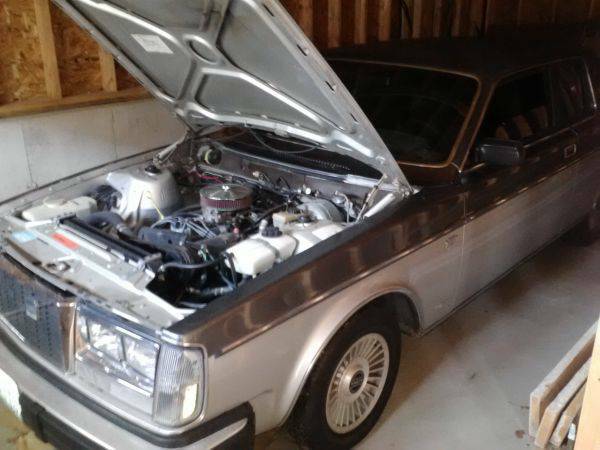 THIS CRAIGSLIST AD GIVES FEW DETAILS ON THE NATURE OF THE V8 CONVERSION OTHER THAN TO SAY THAT IT IS A FORD 302 V8 CONVERSION, CARBURETOR EQUIPPED BY THE PHOTOS. 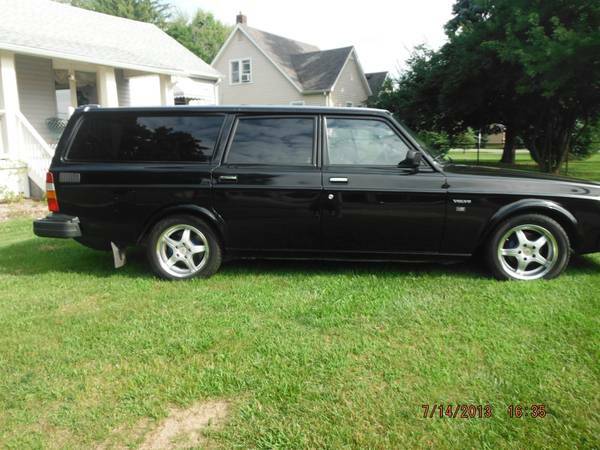 Next up is a 1982 Volvo 245 Wagon with V8 offered for $6,000 in Detroit, MI via craigslist. 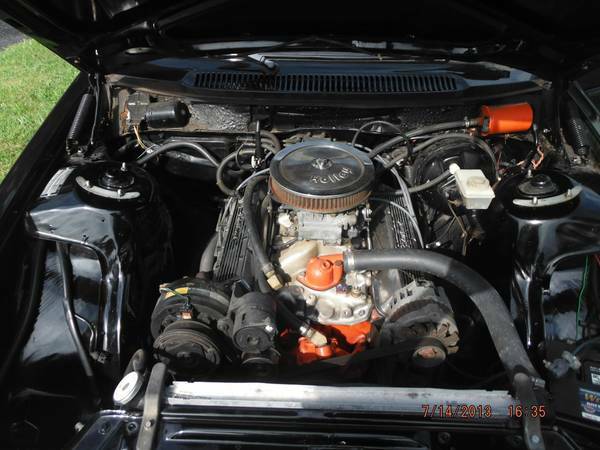 The seller mentions that this wagon is powered by a Chevy 350 V8 and then says "too many parts to list." Too many parts to list? What does this mean? Does craigslist charge by the letter? Nope - it is 100% free and there is no reason to not include as much detail as possible in your ad if you expect total strangers to call you up and buy your junk. Chevy 350 V8s have been made in many configurations over the years and this one could make anywhere from 120-300 hp. 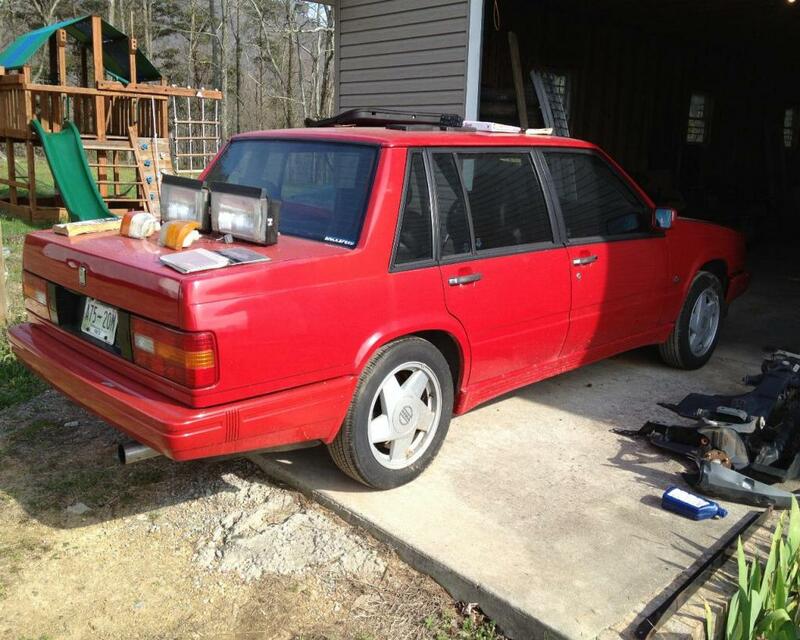 Our final craigslist find is this 1983 Volvo 760 sedan described by the seller as a "Hot Rod Volvo 5.0/302 V8 Ford" for $1,000 located in Northern Georgia. The description is great, except that this Volvo is sold sans engine/trans in the equivalent of selling yourself as a concert pianist who just needs a piano and 20 years of daily lessons. The seller does say the sale includes what seem to be parts of a Converse Engineering 5.0 swap kit, although specific parts aren't mentioned and it could very well be incomplete or nonexistent. 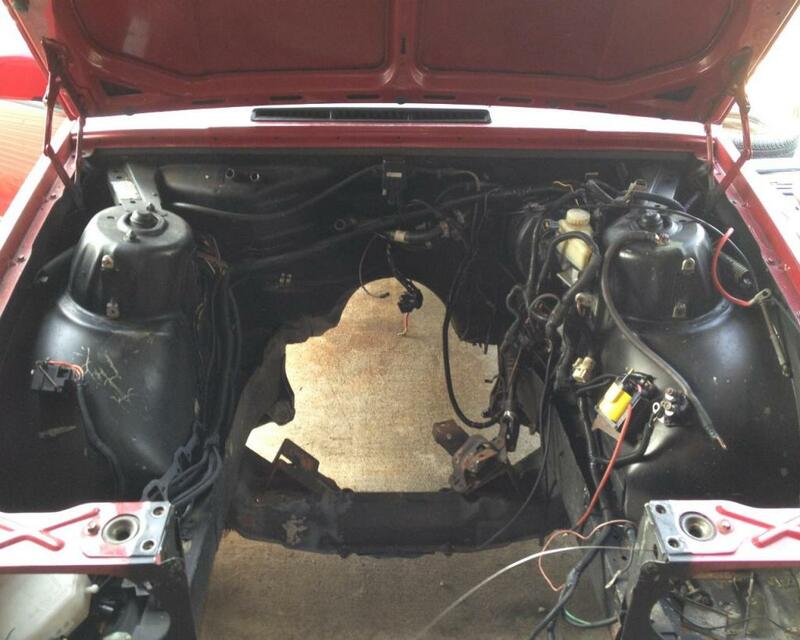 What we do see is a big hole in the engine bay and a car being sold for the price of the Converse swap parts kit. 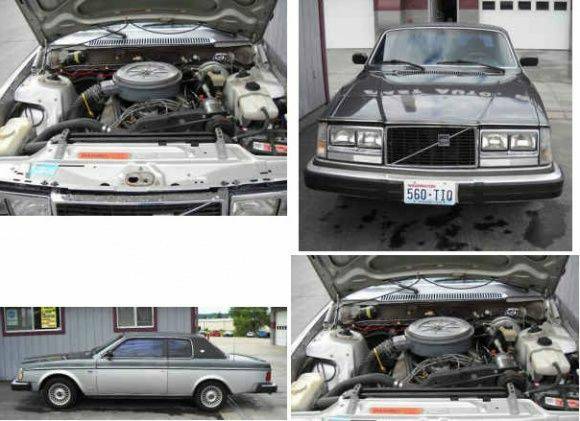 Any one of these craigslist finds could be a great deal, but who can tell with the half-assed efforts put in by these V8 Volvo sellers? Come on guys, these are some seriously awesome machines and worth the effort to sell. ~ i believe i recall that the coupe was posted by a different seller on eBay within the last couple of years. i'm not at all fond of the Bertone interior, although, in this case we don't have the opportunity to form an opinion.